The conference was a life changer for me. In 3 years it was the first time I had met and spoke to others 'just like me'. 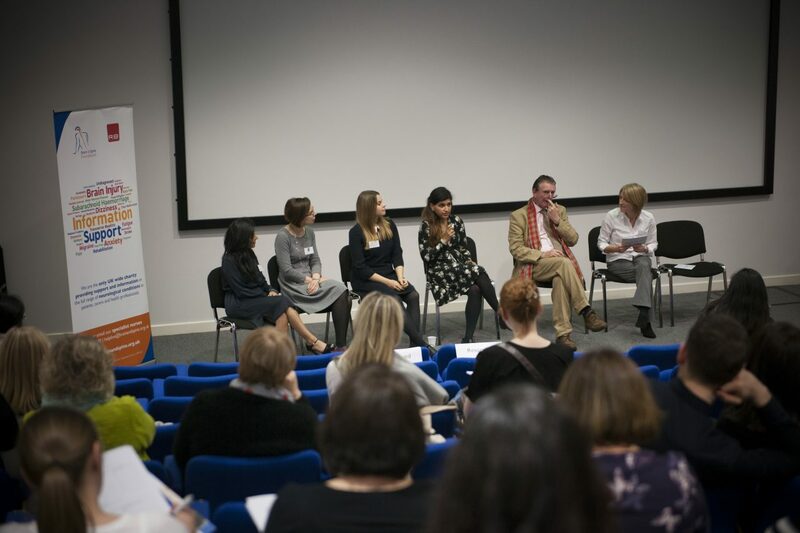 This conference was organised by the Brain & Spine Foundation in November 2016 at the National Hospital for Neurology and Neurosurgery, 33 Queen Square, as part of the charity’s commitment to improve the quality of life of people affected by neurological problems. 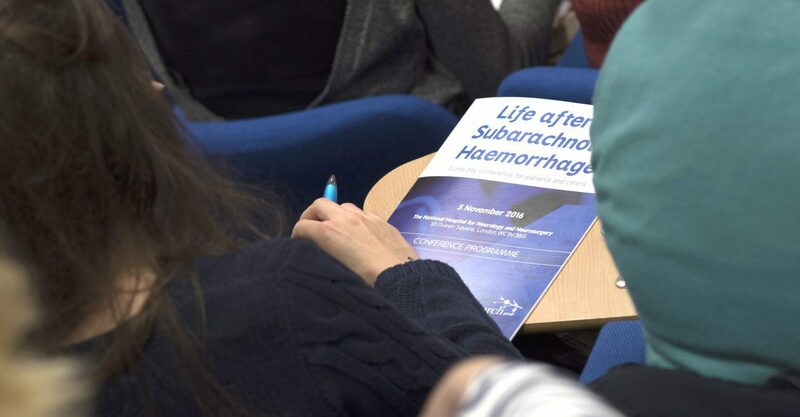 It was the UK’s first conference dedicated to the neurological condition subarachnoid haemorrhage (SAH) and over 120 delegates from all corners of the UK attended. Lesley Foulkes, Neurovascular Nurse Specialist, Wessex Neurological Centre, Southampton. Lesley Foulkes was Chair for the day. Dr Lakshmi Kanagarajah, Interventional Neuroradiology Fellow, The National Hospital for Neurology and Neurosurgery, London. Dr Lynne Aitkenhead, Clinical Neuropsychologist, The National Hospital for Neurology and Neurosurgery, London. Dr Sabah Khan, Clinical Psychologist and Couple Therapist, Tavistock Clinic, London. Kavita Basi (SAH patient) and Lionel Winyard (carer of someone affected by SAH). 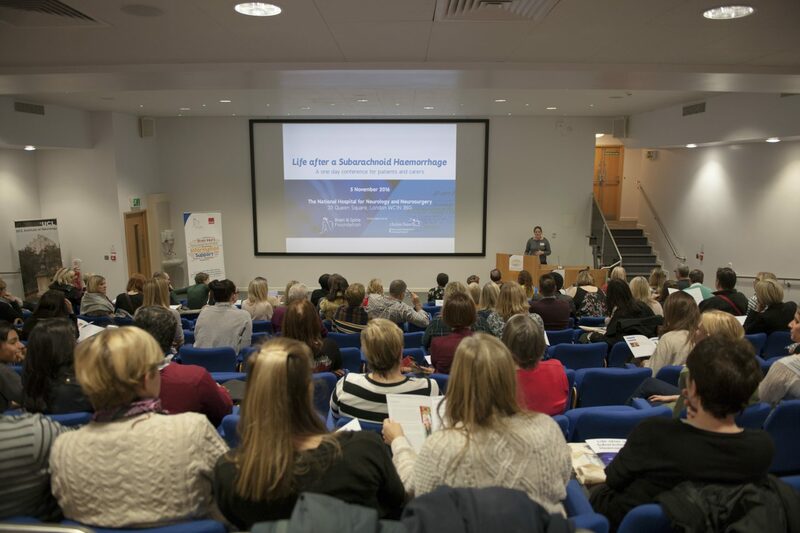 Kate Hayward, Clinical Specialist Occupational Therapist, The National Hospital for Neurology and Neurosurgery, London. You can download the presentation slides of the conference here (all files in PDF). The event was kindly supported by Christchurch Group.